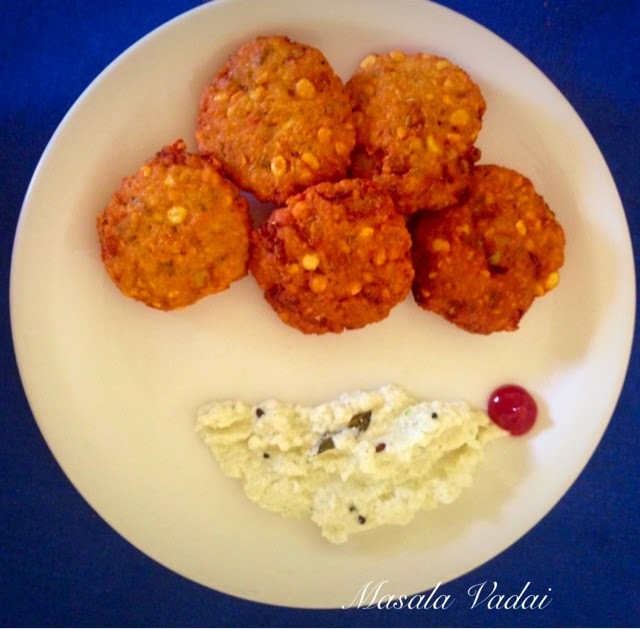 I'm Masala Vada: One more delicacy from South..Made of Chana dal, fennel seeds, mint, ginger, garlic..one of the most famous and yummiest street food.. served with coconut or tomato chutney..
1 cup chana dal soaked for at least 3 hours in warm water. 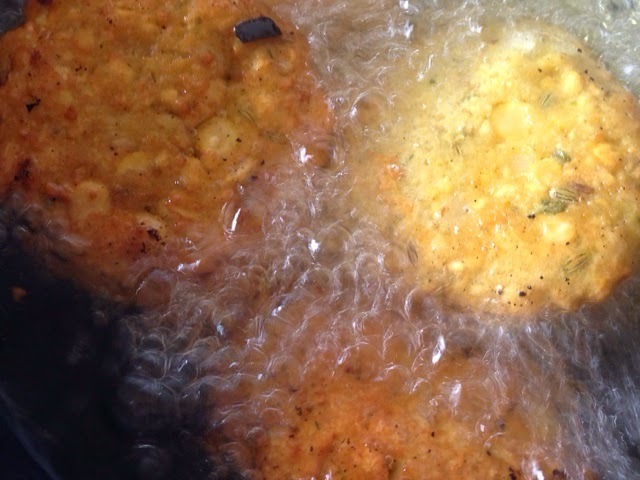 Drain Chana dal completely and grind to a coarse mixture without adding water with fennel seeds, green chilli, garlic and Ginger. 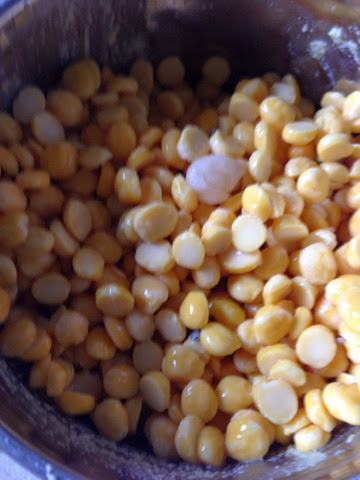 Do make paste there should be few whole chana dal. Add chopped mint leaves and curry leaves. Add onion and salt just before frying as mixture will becomes watery if you will it after adding onion. 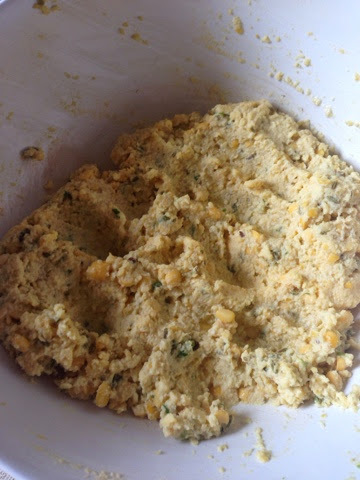 Take a lemon size mixture in your hands and roll it, then press it slightly flat as cutlets. 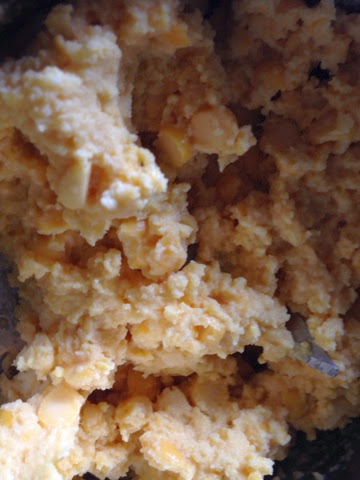 Repeat the process with remaining batter. Fry on medium flame untill golden brown. 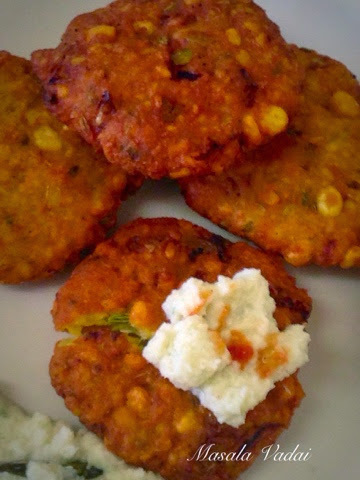 serve hot with coconut or tomato chutney.